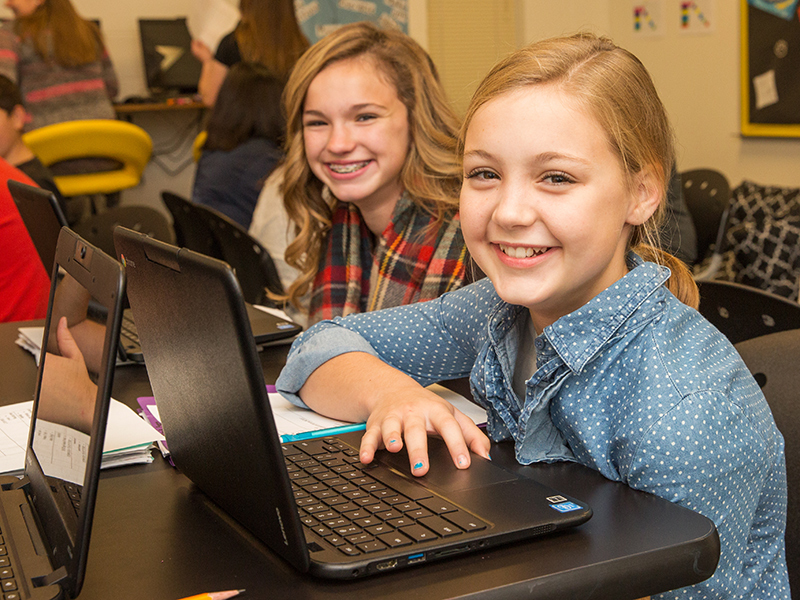 Cisco Junior High’s 6th grade math teacher created a simple but effective method for ensuring students have all of their necessary login information for online content. Each student has a work folder which contains a login sheet where their usernames and passwords are kept. Students who don’t have this information memorized can quickly access it when needed. When students forget their folder or misplace the login sheet, the teacher has a backup in place. 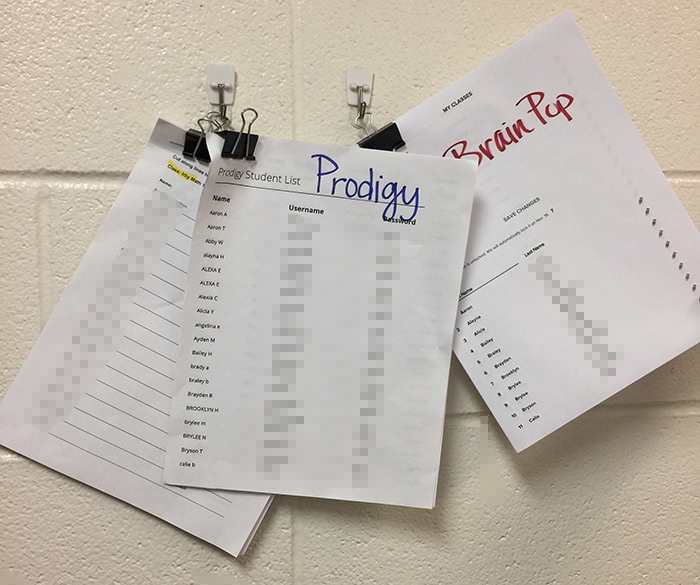 A list of student logins for each class is printed out and stored on a clipboard between the teacher’s desk and the computer station. Students who misplace their login information can retrieve it themselves by referencing the class clipboard. The login information is organized by students’ lunch numbers (the code they use to receive their meals), and each student only recognizes their unique number. This provides students with more ownership, and it helps the teacher focus her time on instructional matters instead of troubleshooting technology-related ones. Retrieves login from backup system when they have lost or forgotten it. Prints out login information for each program and class, organizing it so students can quickly and easily access their information.